Congratulations to Elizabeth and Brian! They celebrated their wedding at The Albany Country Club. I loved working with them. Elizabeth has quite the green thumb herself, and was inspired by the beautiful gardens of her childhood home. It must be noted that she is a third generation Albany Country Club bride as her grandmother and mother were also married there!!! Her bouquet was composed of hydrangea, white garden roses, spray roses,white ranuculas, delphinium, fresh lavender, blue tweedia, and dusty miller. I love this one, and the fact that it served as her something blue. The bridesmaids carried hand tied bouquets of antique hydrangea, Faith roses, purple spray roses, scabiosa pods, and silvery dusty miller. I added streaming ribbon to the toss bouquet to make the "event" more dramatic. Boutonniere's made with fresh lavender, scabiosa pods, dusty miller and a touch of tweedia for the groom. The large lantern held the cards, a great idea. I added some roses, petals, and trailing euonymus. I love my job, but truth be told I am a little camera shy, John snuck this one by me : ). This guy comes in handy, I think I'll keep him around. Detail of the pew buckets. They were later re-purposed on the cocktail tables. Great view!!! They chose to hold the ceremony in The Albany room as opposed to the patio outside. Elizabeth and Brian made that choice a long time ago to avoid the "in" or "out" dilemma couples are often faced with. It did not rain that day, but it sure was Hot!!! Sweet bride and groom chairs. It's the little details like this that make me smile. The centerpieces were designed in classic urns displaying a bounty of gardenesque blooms. I love the romantic composition, it suits the ball room perfectly. Thank you Elizabeth and Brian for choosing Splendid Stems to create your wedding flowers! Have a wonderful time in Hawaii ! One of the many, many beautiful gardens on the grounds of Albany Country Club. Ohh, so where do I start? 1. I bet those boutonnieres smelled a-mazing. 2. I love, love, love the flowers on the back of the chairs. 3. the bouquets are phenomenal (not that that is a surprise). 4. 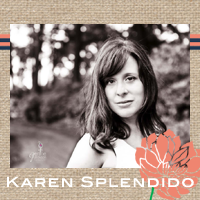 I want to get married again so I can have more Karen Splendido/Splendid Stems originals! This country Club wedding was so amazing. The color scheme is my favorite part of this wedding ceremony. Actually I really like such pastel shades. I just tied wedding knot at destination wedding venues Chicago and I also used pastel shades for decorations.